Chip Grizzard (@chipgrizzard)is the CEO of Grizzard Communications Group, a nonprofit marketing and fundraising agency. Chip is the fourth-generation member of the Grizzard family to work at the 91-year-old company. Discover Chip’s candid replies to questions about what it really takes to be a Trusted Advisor and how to create a company that leads with trust, every day. 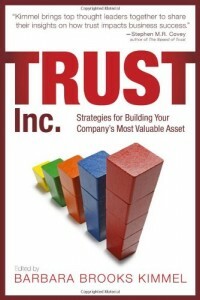 I first met Chip in January of this year when he brought me in to teach his top 35 leaders about Trust-Based Selling. It was clear from the moment we met that he’s a very principled man with a real commitment to being the kind of leader that others want to follow. 7. Modesty. Chip didn’t speak of this trait directly; he demonstrated it. At the beginning of our interview, this very confident and highly successful leader said, “I hope I can help you. Please don’t feel like you have to use my answers if I don’t give you exactly what you need.” An hour after the interview was over, he emailed me a note to thank me for my time. I asked Chip to talk about tough times in Grizzard’s very long history of exemplary client relationships. He shared one particularly poignant story. Grizzard was recently named “Top Workplaces 2011” in Atlanta. The evaluation for the program was based on feedback from a survey that 94% of Grizzard employees completed (exceeding the average company response of 55%). This top honor is a direct result of the honest feedback in a number of areas related to Grizzard’s culture, such as organizational values, strategic vision, leadership, operations, pay and benefits and overall work environment and experience. I asked Chip to share any advice he has for executives who are trying to create a culture of trust in their organizations. His response boiled down to one thing: being a strong role model. And from Chip’s perspective, it starts with him. “I never send a mixed signal related to integrity; my staff never sees me do it one way this way this time and another way another other time. Some people try to play both sides of the fence—to turn on the relationship charm and do the right thing at some points. But it’s not a part-time thing. You have to live it every day. It has to be real. And it’s not just a business thing. Chip made mention of a discussion his leaders were having during the program I led on Trust-Based Selling for Grizzard. The question on the table was, are there ever times when you shouldn’t tell a client the whole truth? Chip was in the room at the time (role modeling that he, too, had things to learn and it was worth his time to spend two days in a classroom). He reminded me what he said that day. May we all have the wisdom and tenacity to walk a mile—or run 26.2—in Chip Grizzard’s shoes. Connect with Chip Grizzard on Twitter and LinkedIn. 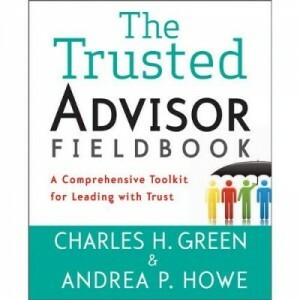 This is the first blog in a series on Real People, Real Trust—an insider view into the challenges, successes, and make-it-or-break-it moments of people from all corners of the world who are walking the talk of a Trusted Advisor. Know someone you’d like to nominate to be featured in our next article? Email Andrea Howe.